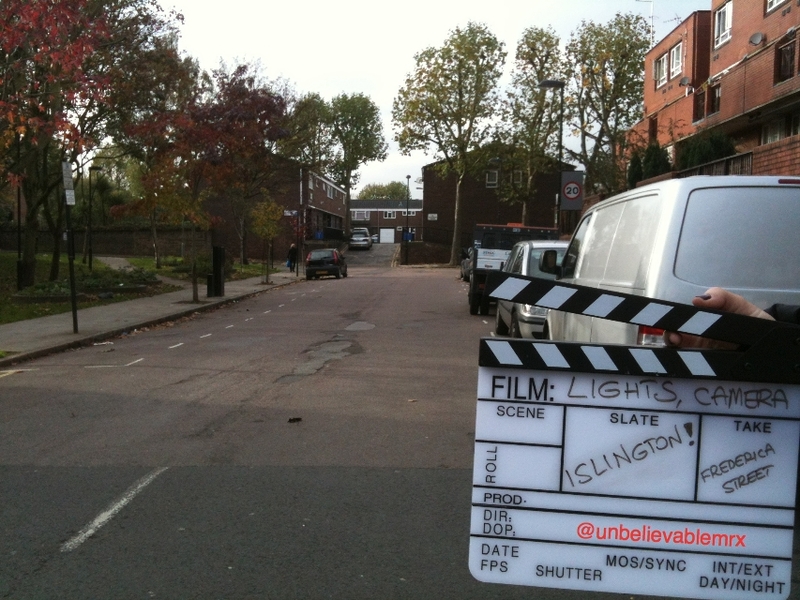 December | 2013 | Lights, Camera…Islington! Having only started this blog mid-October, I could not decently do a 2013 Review post. However, in the little time that I have been publishing posts, I have been pleasantly surprised by the interest and feedback generated. Although the topic of film locations is interesting more and more people everyday, by concentrating on the London borough where I live, one of the smallest London boroughs, I had not anticipated such response. I am glad to see that I am not alone in being keen on such subject! From bloggers, twitter and other social media connections commenting, providing feedback, pointing out some web pages to local people, neighbours and local organisations. I will not mention anyone in particular here – I do not want to have one of those award-winning speech moment when actors start naming everyone but then fail to mention that all important person – but you know who you are so a big THANK YOU to you all. Local journalists and media have also shown their interest. 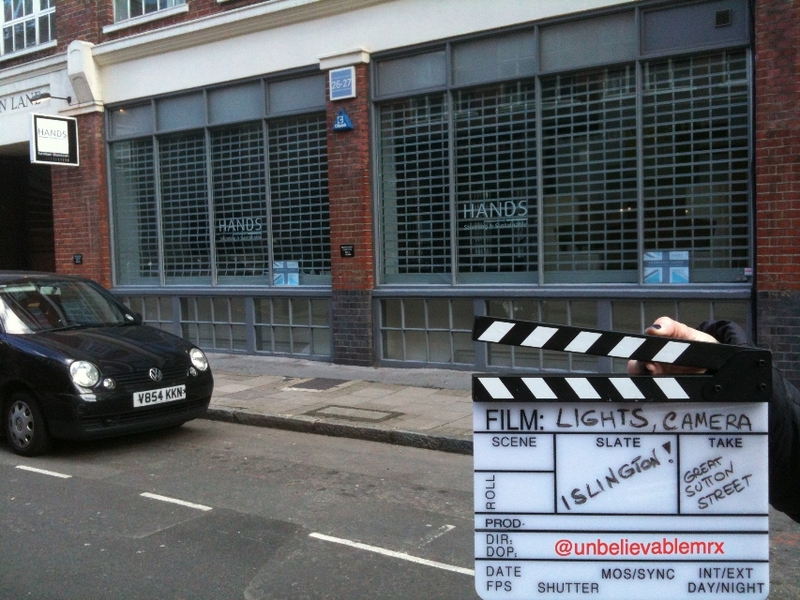 First, Amy Smith from the Islington Tribune mentioned Lights, Camera…Islington! 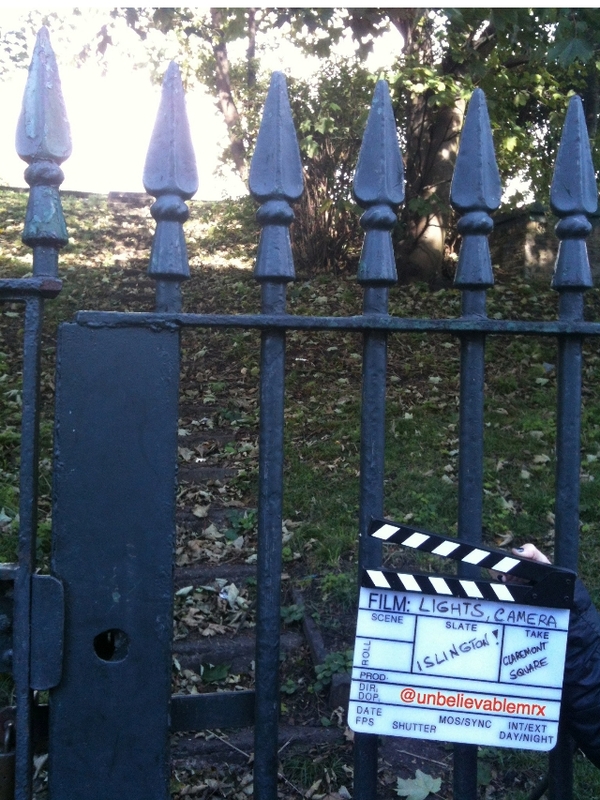 and our Islington Film Locations Map on Caught on Camera published on 22nd November, only a month after the blog being launched. 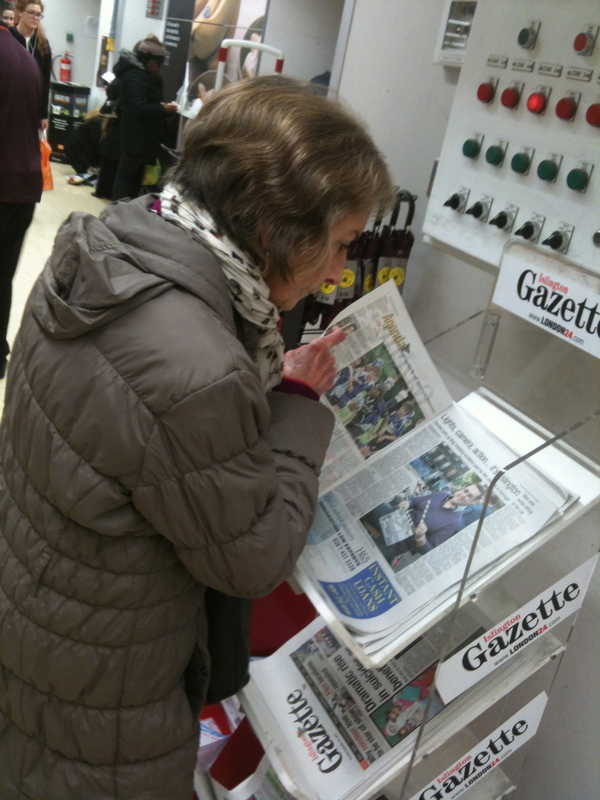 On 19th December, Yannic Rack from St John Street News, published a very nice article From the Italian Riviera to Islington, referring at the same time to my Hollywood on the Italian Riviera project. 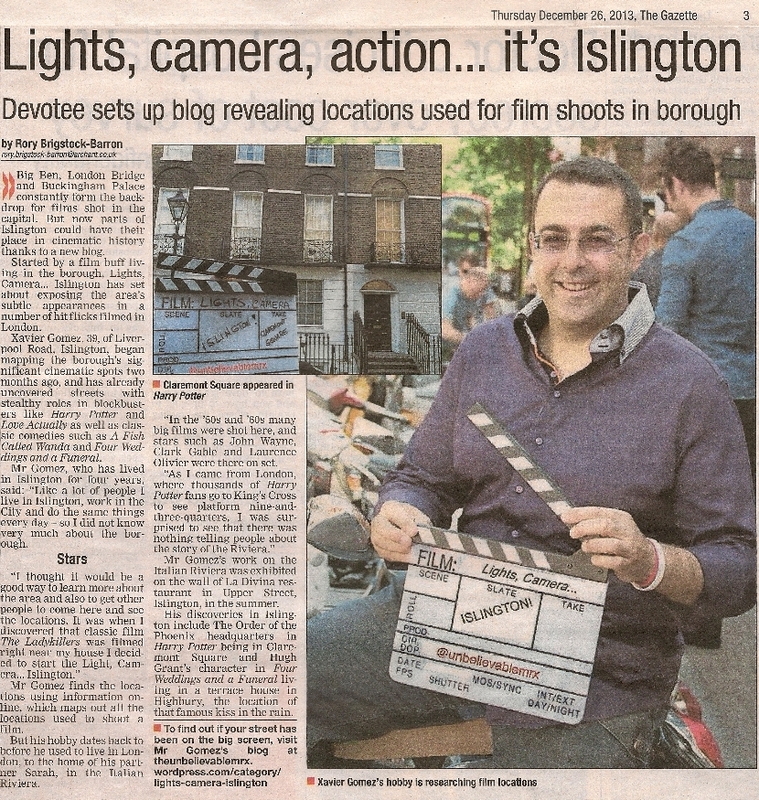 Finally, under the Christmas tree, I found Rory Brigstock-Barron’s present on Page 3 of the Islington Gazette: Lights, Camera, action…it’s Islington .Yes, Ladies & Gents, I have made Page 3! With all this media frenzy going on, I’d better keep calm and carry on writing for 2014. I wouldn’t want to disappoint that lady, would I? Having first visited Chapel Market in October for its appearance in The London Nobody Knows (1967), we are back for more for a slightly different kind of post. As anticipated at the end of that post, on Monday 28th October, making the most of the only day non-market day of the week, a film crew had taken over the street, set up a mini Christmas market and even brought in a snow machine! 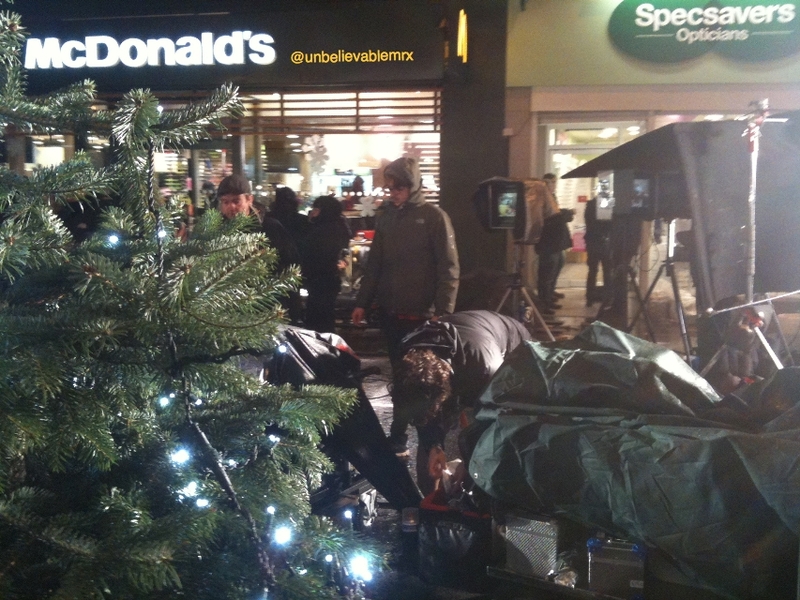 On 25th November, fast-food giant Mc Donald’s unveiled their Somewhere Near You festive TV ad for Christmas. I know what some of you may be thinking. Like many chain outlets that we can find everywhere and anywhere across the UK, retail outlets are pretty much the same wherever you go. 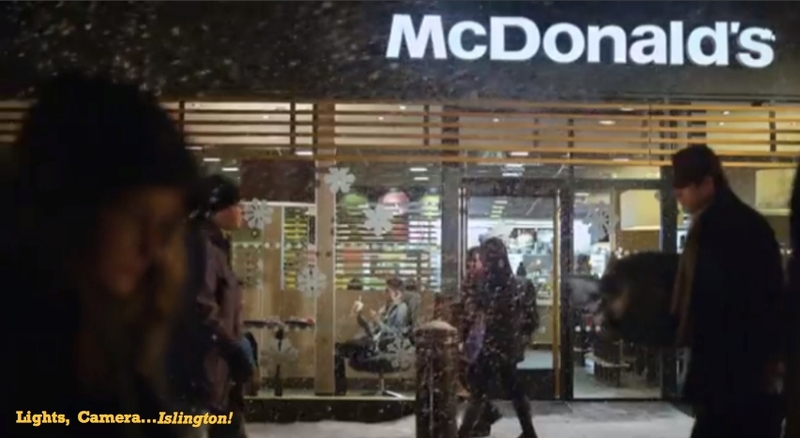 Asides for the first opening seconds, the Christmas 2013 advert takes place mainly inside the restaurant which makes it tricky to identify it. 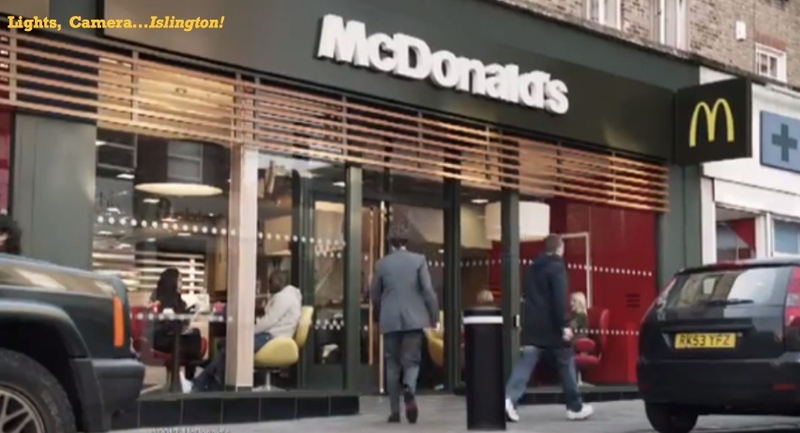 However, it is not the first time that Mc Donald’s UK uses this Islington outlet. They have done so on a number of occasions and, on those TV adverts, it is possible to spot that we are indeed in Chapel Market, albeit using the ‘pause’ button. Here are a few of those adverts and the clues. 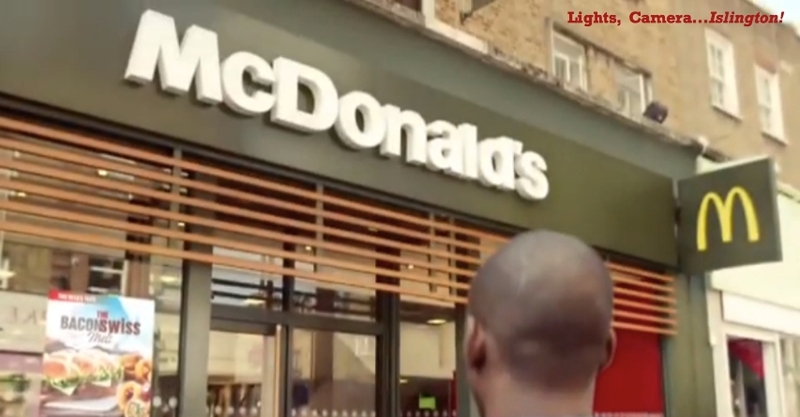 You may remember Mc Donald’s First Day advert. A young man turns up for his first day in a new job and is taken around the office at Mach 2 speed, bombarded with information, names, passwords, etc. When finally he has some time for himself, to recover from this frantic and traumatic experience, he pops in the local outlet…in Chapel Market! Another campaign you may remember is the Great Tastes of the World one. A man, comfortably seating at home reading the paper, suddenly tells his girlfriend: “Jane I have decided to travel the word.” The adverts were there to support a ‘5 weeks – 5 Burgers’ campaign to invite you to try out tastes from Australia, Mexico, Spain, South Africa and Switzerland. Nonetheless, every single time his exhaustive journey ends up in…you’ve guessed it, Chapel Market again! In all these adverts, the clues are the black parking post outside the restaurant, the white mark above the company’s name and the windows in the top right angle. I know, it is not as obvious as Tower Bridge or the Houses of Parliament but this is also what McDonald’s is after: to make it look familiar to all of us independently of where we are in the country. 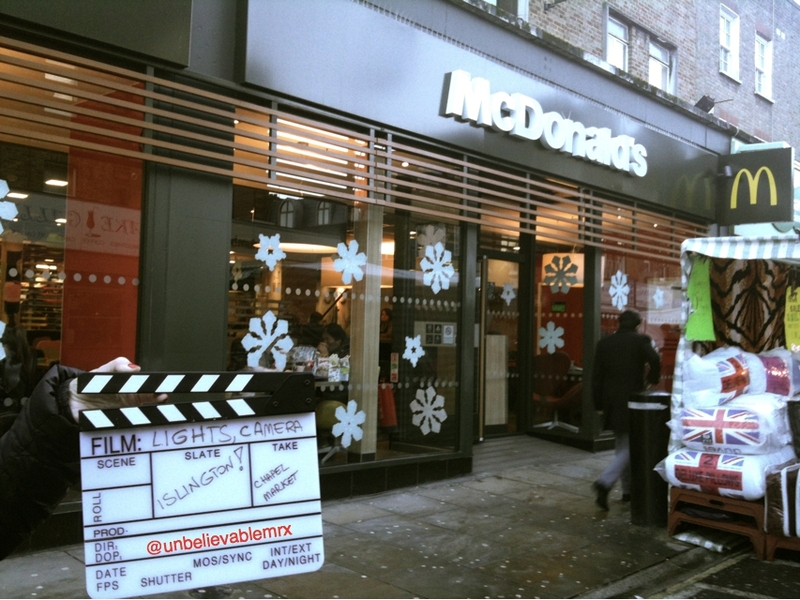 To sum up, out of their 12,000+ UK outlets, Mc Donald’s is Loving Chapel Market! So, Harry Potter fans and wizards of this world: you’ve travelled the world to come to the UK, went up and down London to visit Leadenhall Market – sorry the Leaky Cauldron and Diagon Alley – tried your luck at Australia House – Gringotts Bank – and made it to King’s Cross Platform 9 ¾ to board the Hogwarts Express…or, failing that, take a picture. Since you flew on your broomsticks all the way to King’s Cross, you’ll be delighted to know that Number 12 Grimmauld Place, the Order of the Phoenix’s Headquarters, is only a stone’s throw away from you! Based on the book of the same name published by J.K Rowling, Harry Potter and the Order of the Phoenix (2007), is the fifth instalment in the Harry Potter franchise. There is probably no point in me setting up the scene of such story. Suffice it to say that, early on in the movie, a group of wizards come to get Harry and take him to meet his Godfather, Sirius Black. What follows is a flight over the Thames that screams “Made in London” to the world: Canary Wharf, Tower Bridge, HMS Belfast, Blackfriars Bridge, Houses of Parliament and… Islington’s very own Claremont Square! 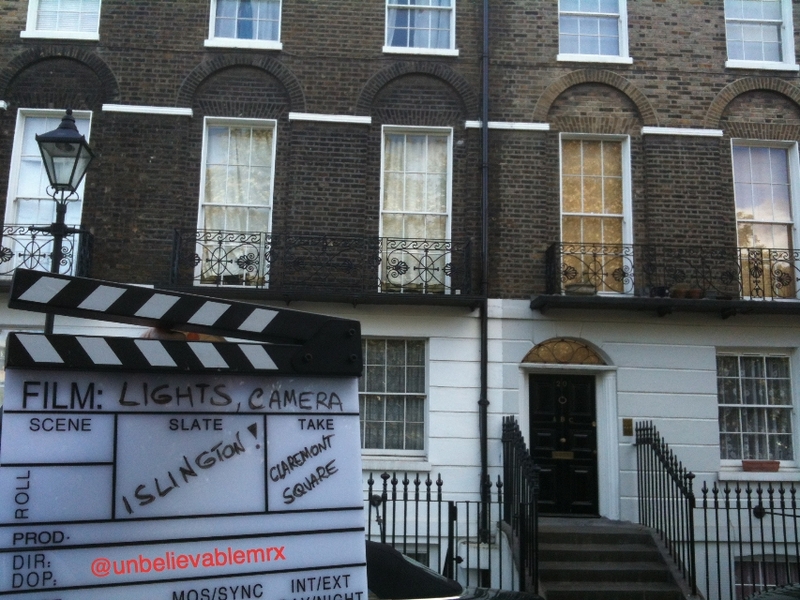 Harry and friends emerge from behind the trees, open an iron gate and, seconds later, Number 12 Grimmauld Place appears. The strange shape of Claremont Square is due to the fact that, back in the 18th century, a water reservoir was there. Following the construction of a larger one nearby, houses were built and, later, the reservoir emptied and covered with grass, hence its steep aspect. A rather wizardly shape you’ll admit. 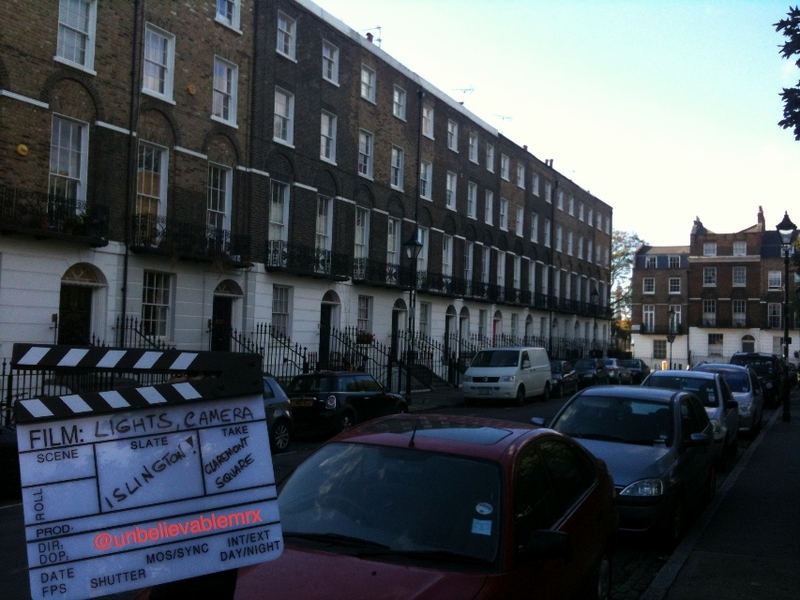 Later on in the movie, we can spot again Claremont Square for a brief moment with children playing with the snow. So, Harry Potter fans of this world – what kind of wizards are you if you don’t fly to Islington? Frederica Street: Sweet Old Lady in £60,000 bank robbery! More than ten years ago, a few months after landing on the shores of Dorset, the landlady I was renting a room from, recommended me to join her family for the evening. By then, I had spent quite a few hours with them talking movies and cinema. She knew I was keen on the subject. That evening, she said, I had to watch that movie, a “British classic” starring Alec Guinness and Peter Sellers amongst others. Indeed she was right. 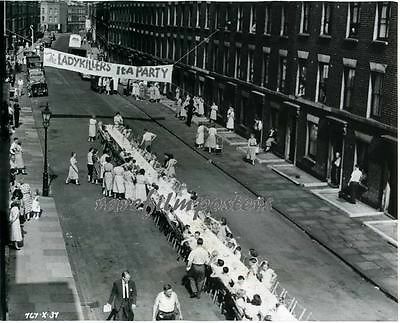 Watching The Ladykillers (1955) I could see how this Ealing Studios black comedy had grown to be cherished and become a national treasure, and is still regarded today as one of the best British film of all time. In many ways, it reminded me of some movies I had grown up with, and my parents before me. Post war films that year after year TV channels keep scheduling and that, invariably, get top viewing figures. Everyone in the family has their favourite characters, their preferred scene, and know the dialogues inside out. A certain melancholy, nostalgia for a bygone era hangs around such films. With all this in mind, I was surprised and excited to found out that Mrs Wilberforce’s house was in Frederica Street, Islington. 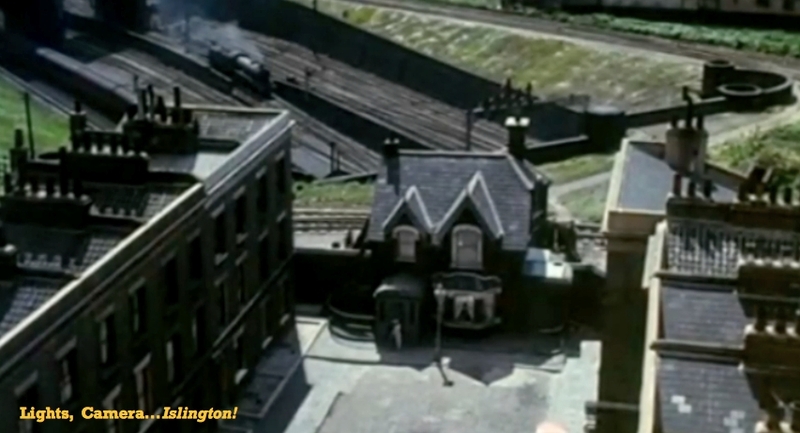 Although the views from her house are actually Argyle Street with St Pancras in the background, her house had been built specially for the movie on an empty plot at the end of Frederica Street with the railway line leading to King’s Cross just behind it. Sadly, but understandably considering the year the movie was made, Frederica Street as it was then is no more. In the following years the area underwent a major redevelopment to give way to the Nailour Estate and only a very short part of it remains.